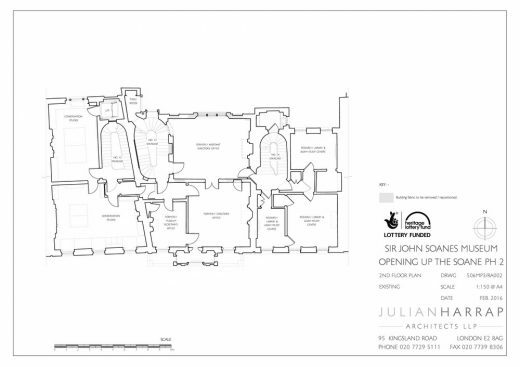 The project brief for the restoration works of the OUT Project was to restore the rooms to their appearance at the time of Soane’s death (1837). 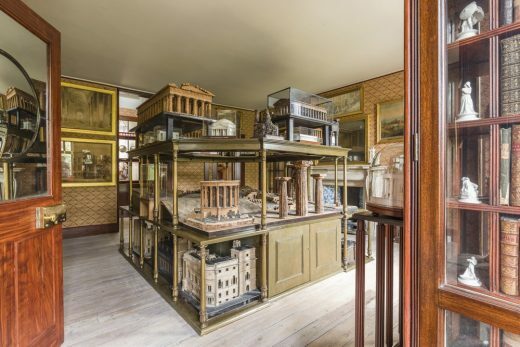 The artwork and models were to be returned to their original locations. In preparation of this important restoration project the Museum staff carried out archive research to inform the architectural restoration. 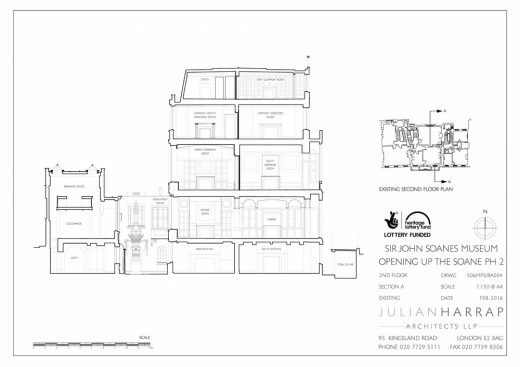 While JHA were analysing the design of these rooms, new insights were revealed about Soane’s approach. 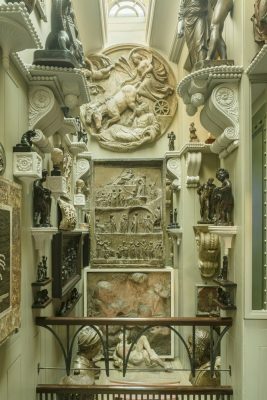 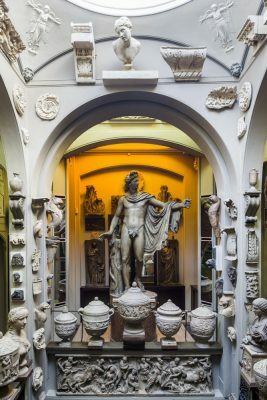 Soane’s work in 1835, to create the Model Room, illustrates his fascination with light and manipulation of scale. 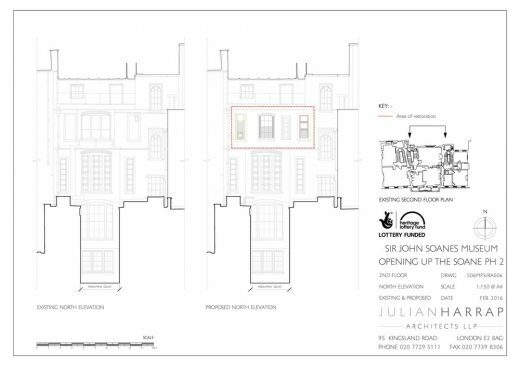 JHA also undertook on-site investigations and careful opening up work to substantiate proposed modifications. 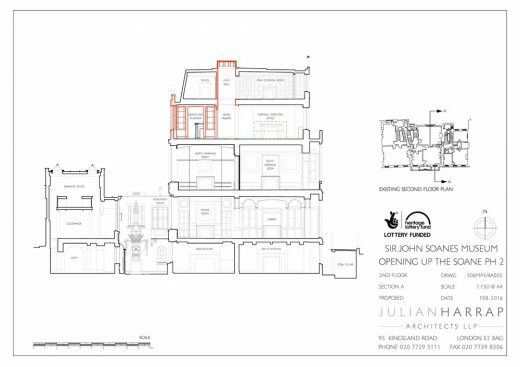 The works prioritised the Soane construction where it was discovered it was re-used in its original location. 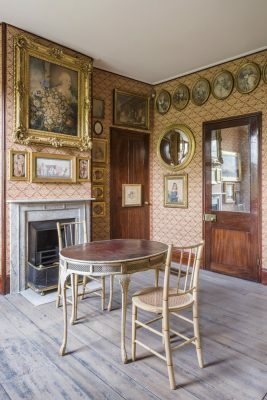 Care was taken to retain all of the original decorative finishes that were discovered giving the reinstated interiors an authenticity and patina of age. 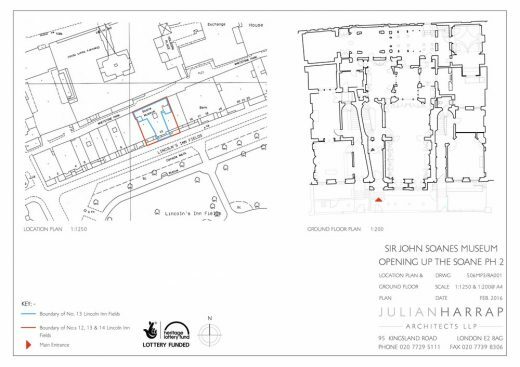 New works were implemented using materials Soane would have used informed by plans and historic paintings of the original interiors. 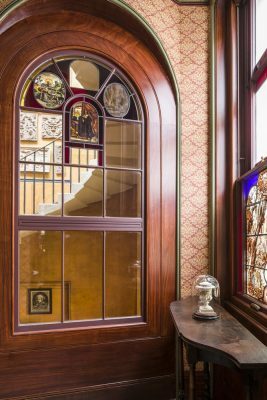 The decorative effects were faithfully recreated to complete these magical interiors.